One universe over, this is a far more interesting news story. After the departure, mutually agreed and amicable of course, of Lord and Miller from the Han Solo prequel movie, Disney take a few days to let the dust settle. The cast and crew are all spoken to, the option to leave is offered to those who want it, contingencies are put in place, the air cleared. Then a week or so later,, the replacement is formally announced. And it’s F. Gary Gray. Fresh off Fate of the Furious, Gray has the exact combination of gleeful, bruising action chops and character-focus to bring the movie into land. He doesn’t have much chance to put his stamp on the picture with three weeks of principle photography left, but he brings it into land and in doing so further reinforces his status as a major new blockbuster director. One universe over from that it’s Mimi Leder. Best known for her TV work, Deep Impact and the criminally under-rated George Clooney vehicle The Peacemaker, Leder’s precision eye, expert action staging and direct approach pays dividends. The movie comes into land with a clear view of Han Solo not only as he was but as he will be and Leder’s career shifts up a notch as she moves back into the blockbuster spotlight. One probability shift past that, it’s Daniel Espinosa. Riding high as the director of the one Alien-adjacent movie that actually worked this year with Life, Espinosa is a great fit. He’s got the same willingness to give his cast room to work as Lord and Miller, the same fondness for showing the consequences of action and physical danger as Lawrence Kasdan. He settles into the troubled production with ease, brings the movie in on time and budget and delivers a character-focused pared down action comedy that surprises everyone. And one last roll of the dice brings us to Debra Granik. Granik brought Jennifer Lawrence to the spotlight with Winter’s Bone, a crunching rural noir that perfectly captures the desperation of growing up somewhere too small for you and realizing you’re always the only adult in the room. She brings that same painful intimacy to the Han Solo movie, bringing some darkness out and adding light and shade to Corellia’s scoundrel that no one else would see. Lexi Alexander. Clark Johnson. Ava DuVernay. Karyn Kusama. Catherine Hardwicke. Ryan Coogler. Ernest Dickerson. Jordan Peele. There’s a vast array of alternate presents out there where one of these directors, each one of them with critical and/or commercial smashes on their resume, got the call. We do not live in those universes. Before anyone starts riding to the defense of Ron Howard, do whatever the opposite of ‘saddle up’ is. He’s a director with an impressively strong track record and Apollo 13, Willow, Backdraft, The Paper and Rush are among my favorite movies. Howard’s also actively developing a movie version of Jason Arnopp’s excellent horror novel The Last Days of Jack Sparks so it’s not like he’s resting on his laurels. Plus you can absolutely see the thinking behind bringing him in. If communications between the studio and directors have broken down to the extent that the directors are fired? It makes perfect sense for the first response to be too bring in a safe pair of hands. And the only safer pair of hands than Howard has the surname ‘Spielberg’ and is even busier than he is. And besides, with three weeks of principle filming left it’s entirely understandable to put an experienced captain at the helm. All Howard has to do is get to the end of principle photography, work out what the reshoots will need and bring the movie in with minimal extra damage. That won’t be easy, especially if any cast members leave, but it can be done. And it doesn’t have to be done by an industry veteran either. Opinion differs on how risky the directorial choices Kathleen Kennedy has made have been. You’re going to read plenty of pieces arguing ad nauseum about how Lord and Miller’s firing and the Rogue One reshoots prove that these movies really should be given to people with established track records. Those pieces won’t use the words ‘grown ups’ but that’s what they’ll mean. They’re wrong. In fact, this is one of those situations where no one is entirely right. Lord and Miller, it seems pretty likely, pushed back hard against what they saw as a restrictive studio system. That’s both understandable and a seriousness error. Understandable because with their string of recent successes they’ve been riding high. An error because this was work for hire. It’s work for hire on a massive scale with the largest toy box in western popular culture but it’s work for hire nonetheless. There’s absolutely nothing wrong with it, but there’s also a very different feel and set of rules than working with your own characters. They were brought on to service an IP. They didn’t service it in the eyes of the IP holders. They got fired. Is that an artistic clash? Yes. Is it understandable from the studio’s side? Absolutely. Sympathetic? Well that’s up to you. Kathleen Kennedy was absolutely right to bring them aboard. They fit the model of director Disney want on the new Star Wars movies like a Lego-hook handed glove. They’re at the top of their careers, they’ve had some major successes and they’ve got major pop cultural cache. After all, four years ago could you honestly have said The Lego Movie was going to work? But Kennedy also didn’t go far enough. The infamous misstep about female directors showed, pretty starkly, the edges of the frame Disney were looking to fill. They had a very clear idea of what sort of director they wanted and that, on three movie’s evidence is youngish, white and male. Which brings us to Howard. The director of Willow has a long standing relationship with Lucasfilm and Disney alike so that, combined with his experience, puts him solidly in the frame to bring the movie in. That makes sense. It makes sense that he said yes. There’s an argument too that, whiles it would be great to break the Disney mold with those last three weeks of shooting, there’s so little time left that no one could make their mark successfully. Worse still, the new director, especially iff= untried, could end up with the movie as an albatross that follows them their whole career. The other side of that being, how much harm can you do to a movie with three weeks on the clock? Then there’s the fact that Disney may have traded one mercurial directing pair for one mercurial director. If the Lord and Miller that directed The Lego Movie showed up it’s hard to see what the problem was. If the Lord and Miller who inflicted 22 Jump Street on the world showed up, it’s hard to believe they lasted this long. Likewise Howard. 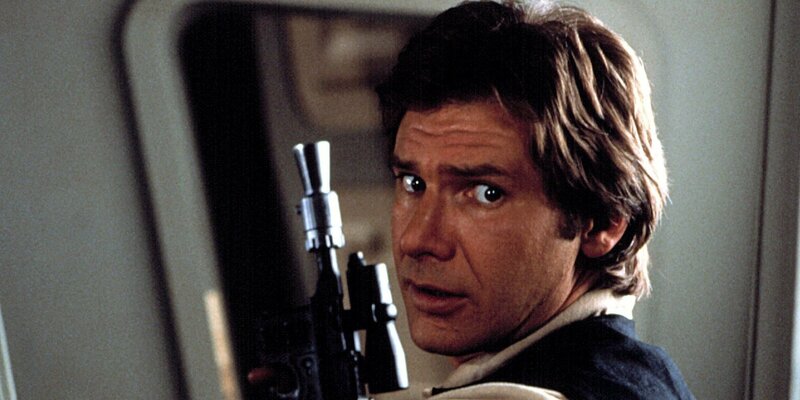 The Howard that directed Rush could run rings around Han Solo. The Howard that’s trudged out three Dan Brown adaptations? Left in the dust. We won’t know, I’m guessing for a very long time, which one we get. Regardless I wish everyone involved the best of luck. Break ups are never easy and acrimonious ones like this even more s. Here’s hoping the movie we get takes at least a few chances, regardless of where and who they came from. That’s what Han would do.